Viscosity tests measures fluid flow properties, and are useful for product evaluation, research and quality control. Base oils viscosity analysis is considered one of the most important testing parameters when it comes to base oils and lubricants, since their main purposes are to create lubrication films between moving parts. When the oil viscosity isn’t within certain viscosity ranges it is referred to as insufficient lubrication, which results in increased friction and more wear and tear. Testing for viscosity beforehand will help prevent any insufficient lubrication issues. Significant changes in measured viscosity typically are caused by cross contamination, water ingression, oil degradation, and other factors involving other testing parameters. Lubricants are classified according to their viscosity at 40°C. This is known as the oils viscosity grade. Viscosity ranges in base oils and lubricants typically decrease as temperature increases. The Viscosity Index (VI) is a value calculated that indicates the change in an oils viscosity when temperature changes are applied. A high viscosity index indicates less viscosity changes when temperature increases, which leads to better thinning resistance and better film strength resistance under hotter conditions. Not all oils respond in the same way to a given temperature. Many oils contain properties that allow them to resist changes in viscosity due to temperature changes. The higher the VI of an oil, the less its viscosity is altered by temperature changes. Fuel oils with a higher VI are beneficial because a general increase in viscosity at higher temperatures typically result in lower oil consumption and less wear, while a reduced viscosity at lower temperatures, which will improve starting and lower fuel consumption. Viscosity tests involve resistance to flow measurements at certain temperatures. There are two ways to measure viscosity. Kinematic Viscosity – A fluids resistance to flow, measured by noting the time taken for a fluid to travel through an orifice in a capillary under the force of gravity. Most laboratories report as kinematic viscosity. 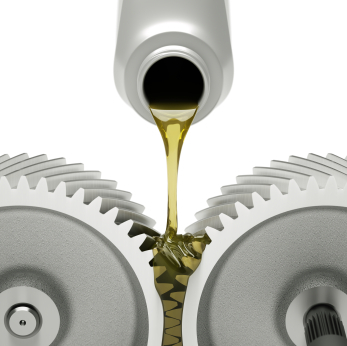 Viscosity affects heat generation in bearings, cylinders and gear applications. It determines the ease with which these machine parts and applications may operate within certain temperature conditions. For the most effective lubrication, the viscosity must conform to the speed, the load, and the temperature conditions of the parts being lubricated.